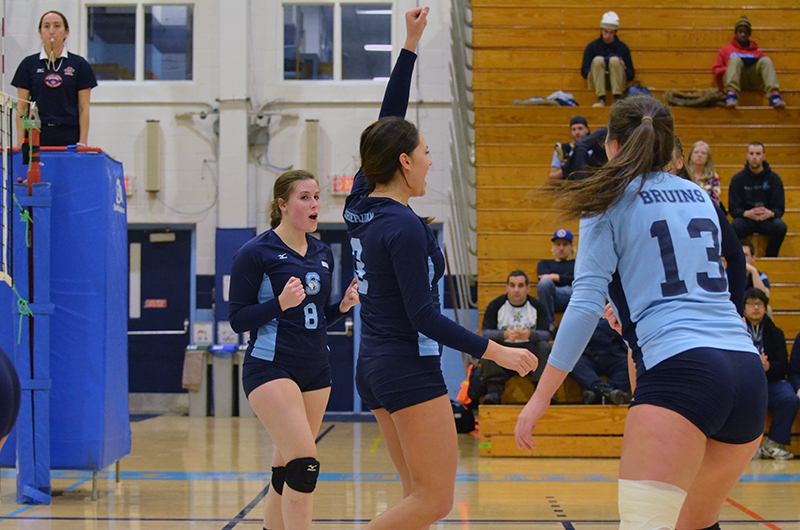 The Bruins men’s and women’s volleyball teams both fell to the Humber Hawks in the quarter-finals of the OCAA championship at St. Clair College. The men’s team could not handle the Hawks, dropping the contest 3-0 on Feb. 27, while the Lady Bruins lost 3-1 the day before. The men’s team went on to beat Durham 3-2, earning a trip to the bronze semifinal where they would lose 3-0 to Fanshawe. 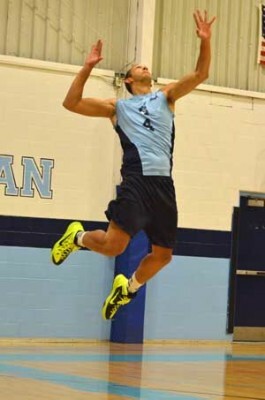 In the men’s attempt against Durham, Jeremy Fantin scored 29 points (26 kills, one ace, two blocks) and 18 digs. Josh Butler put up 25 points, and Chris Adams helped out with 15 points. Fantin (15 points and 10 digs) and Butler (16 points and 11 digs) also walked away with double-doubles against Fanshawe. Jordie Bevan led the way for the Lady Bruins in their loss to Humber with 17 points (15 kills, two aces). The path to the bronze medal was also blocked for the Lady Bruins when they lost 3-2 to Trent. “When the match was on the line in the fourth and fifth set, we weren’t able to execute those basic skills and it cost us the match,” said Hunt. Bevan led the way again with 21 points and 11 digs. Niagara College took home the men’s OCAA Championship after defeating St. Clair 3-1 in the finals on March 1, while the women’s OCAA title went to Humber after sweeping Durham 3-0 on Feb. 28. The Lady Bruins went 28-11 and 13-8 OCAA in the regular season while the men’s team went 21-13 and 13-9 OCAA. Added by cordellfinn on March 9, 2015.